SC Johnson Germany supports STEM learning by helping provide laboratory space for kids to get hands-on science experience. With a company donation, SC Johnson supports NeanderLAB and gives kids a chance to be a "scientist for a day." When kids have an interest in science, it’s important to provide opportunities for the kind of hands-on learning and discovery that can fuel a lifetime of curiosity, and future careers. 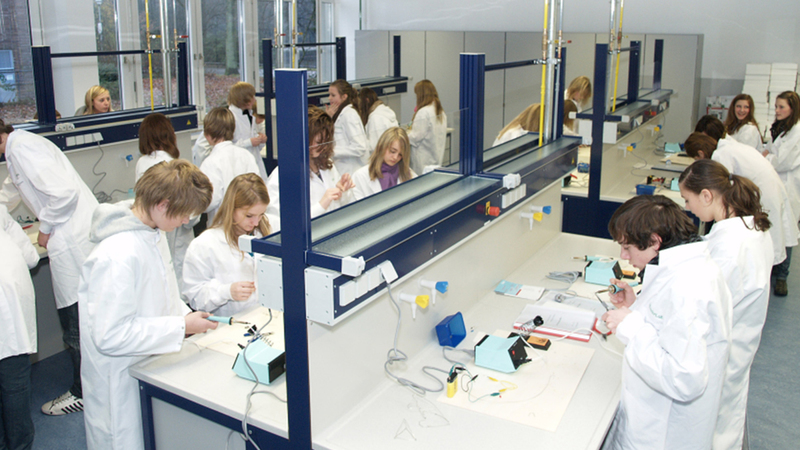 In Germany, SC Johnson helps fill that need by supporting NeanderLAB, an organization that provides laboratory space for kids from 24 area schools, to encourage greater interest in the sciences. SC Johnson Germany donates funding that helps support lab time for children interested in the sciences. NeanderLAB focuses on courses for children grades 6 through 10, and hopes to continue to expand. While visiting, kids get a chance to be a “scientist for a day,” experience a laboratory atmosphere, and take part in courses that are designed to create an enduring interest in the natural sciences.